Nintendo has an event lined up for this Friday 13 January where it is expected to reveal lots more details like price, release date and launch titles for the new Switch console. As ever leaks have begun early, showing off accessories. The Nintendo Switch accessories, including controller options, have leaked via the Twitter account of @DroidXAce along with revealing pictures. The French Twitter user claims the documents reveal accessories made by Hori, known for making kit for major gaming consoles. 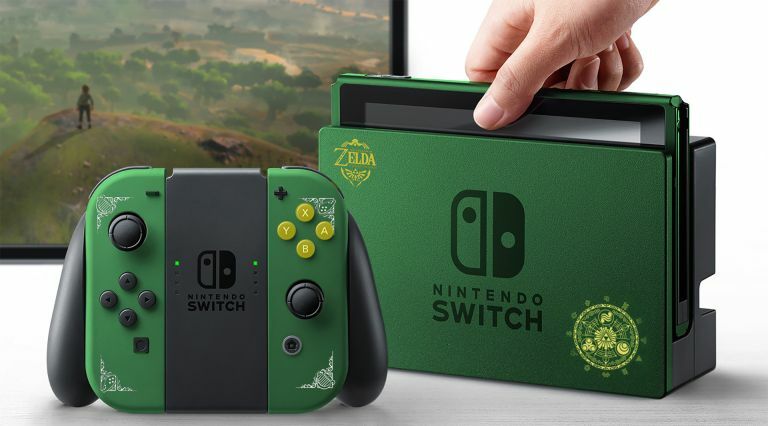 The photos show a Zelda: Breath of the Wild skin set which is due out in March. This is both telling and exciting. Rumours suggested Nintendo would not be ready to release the new Zelda game in time for the Switch on-sale date expected to be in March. These skins may simply be early but here’s hoping there’s more to it and we get Zelda as a launch title too. Other accessories include an arcade stick controller, in-car charger, LAN adapter, carry case, Joycon controller charging dock, Switch tablet charging dock and replacement analogue stick tops and thumb buttons. Check back on Friday 13 January for full coverage of the Nintendo announcement and all the details revealed. Nintendo's portable console is a hit – but are you making the most of it?